The Sixth Form plays a vital role in our school. It offers a vibrant and proven educational opportunity for the young adults of this community. 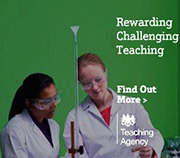 It constitutes a major reason why we are able to attract such a highly qualified teaching staff. Sixth Form lessons are the place where teachers can practise their academic trade at a high level. It also enriches the life of the school in many other ways. All our Sixth Formers are prefects; many give up their free time to help with pupils with special needs; some of them assist teachers in other lower school lessons. Through all these, and through contributions to school sport, to dramatic and musical productions, through the school newspaper, and many other channels, our Sixth Formers provide leadership and help to raise expectations and standards. We would be a much poorer place without them. In return, we offer to our Sixth Formers the assurance of individual attention from informed and concerned adults, together with the firm guidance which is appropriate for an institution which sees itself still being – to a degree – in loco parentis. The possibility of lonely anonymity does not exist in our Sixth Form. These are two-year courses with most work assessed at the end of the second year. They are demanding but highly valued qualifications, well understood by employers and all higher education institutions. An A*, A or B grade (Grades 6-9) at GCSE in a subject is an indicator of likely success at A level, but A Levels can differ in both method of study and form of examination. Indeed, some A Levels are more traditional and harder than others. NTS staff are well placed to advise pupils. Art & Design, Biology, Business Studies, Chemistry, Computer Science, English Language, English Literature, French, Further Mathematics, Geography, History, Mathematics, Music, Physical Education, Physics, Psychology, Religious Studies, Sociology, Spanish. These are vocationally based A-Level Qualifications. They are a good broad introduction to an occupational area and will allow easy access into employment, further vocational study or Higher Education. They involve lots of new ways to study: work placement, group projects and such like. Currently, we offer L3 Extended Certificates in Applied Science, Health & Social Care and a L3 BTEC in Travel & Tourism. Students have the opportunity to add to their main study programme by choosing an additional qualification. Core Maths (worth 40% of a full A Level) and the L3 Extended Project Qualification (EPQ) (worth 50% of an A Level) are on offer. For those joining the Sixth Form who haven’t quite made the grades, we also offer GCSE resit examinations in English and Mathematics for students needing them, and the opportunity to study Latin. As well as their chosen subjects at whatever level, students will undertake a programme of curriculum enrichment in the Lower Sixth. Various activities will be offered, such as Advanced Discussion Group, and a variety of team and individual sports.